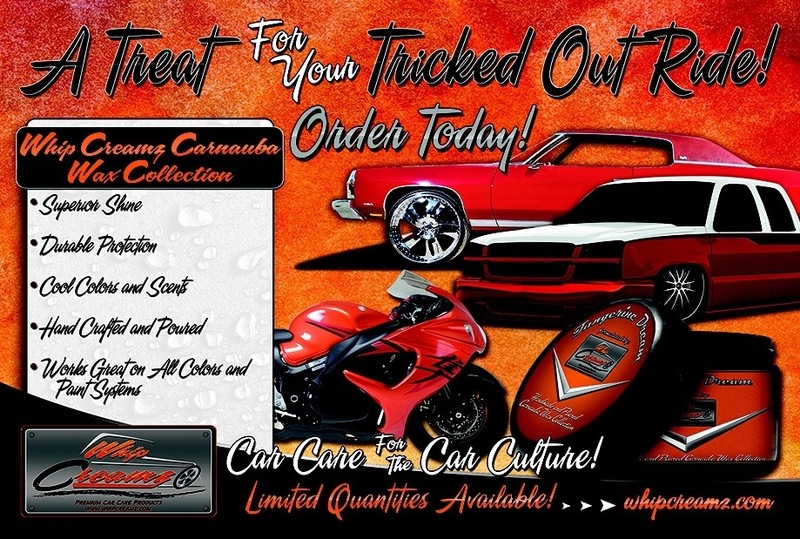 The cool and current carnauba paste wax collection Whip Creamz, will officially launch Tuesday October 30th prior to Halloween with the release of the Tangerine Dream Wax. This exciting new line of hand-made and poured carnauba waxes are perfect toppings for metallic, flip-flop, pearl, marble, candy and other custom or factory paint systems. Each container is packed with passion and performance and designed to help you maintain the appearance of your car, bike or truck. 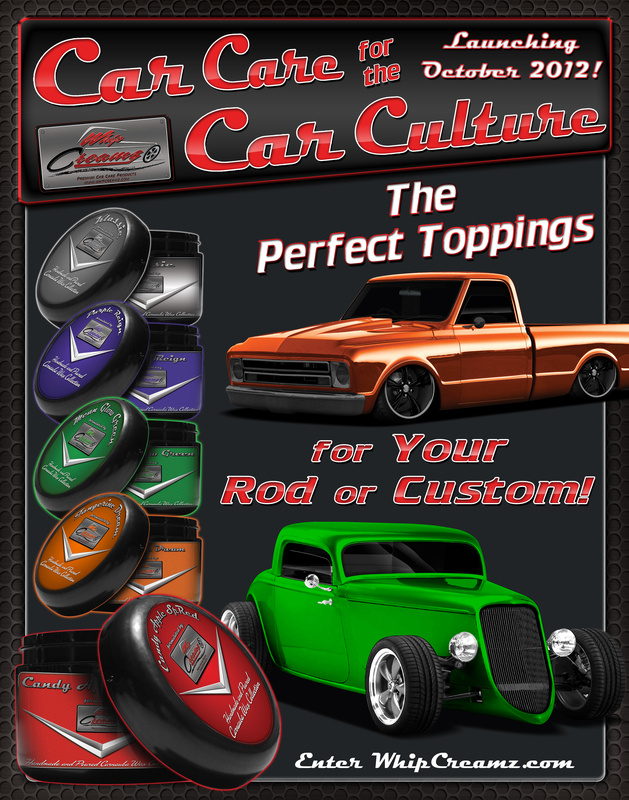 Whip Creamz is “car care for the car culture” and formulated with the custom car community in mind. This hand-crafted collection is a careful and balanced blend of all the things your vehicle’s paint will love like, a rich formulation of carnauba and bees wax, rejuvenating oils and other ingredients but without the harsh solvents and silicone you, your painter and body shop may not. 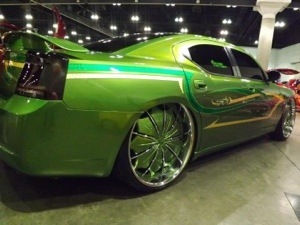 Whip Creamz is truly a treat for tricked out custom rides. 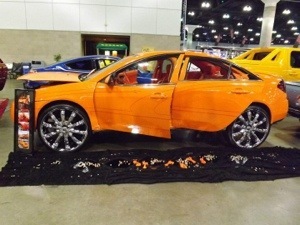 D. Smith the visionary and proprietor emphasizes, “Whip Creamz is like candy for your car’s paint system” and is why he chose Halloween to launch the brand and product. The wax delivers one sweet wet shine plus leaves behind a protective coating against the elements. It’s poured in limited quantities and comes in assorted colors, subtle scents with cool names and clean packaging. The ease of application and removal in addition to the hip hues and aromatics will enhance your wax on wax off experience. Waxing your car no longer has to be a chore. It will be a pleasurable experience you’ll look forward to when you chose any jar from the WhipCreamz collection. Don’t let your eye candy become an eye sore by allowing the daily assault of sun, rain, bird droppings, tree sap and other industrial fall out the ability to settle on the surface of unprotected paint, which can rob your vehicle of it’s shine and luster. Instead, satisfy your car’s sweet tooth by adding Whip Creamz carnauba wax to your auto appearance regiment. It will help keep your vehicle looking it’s very best. 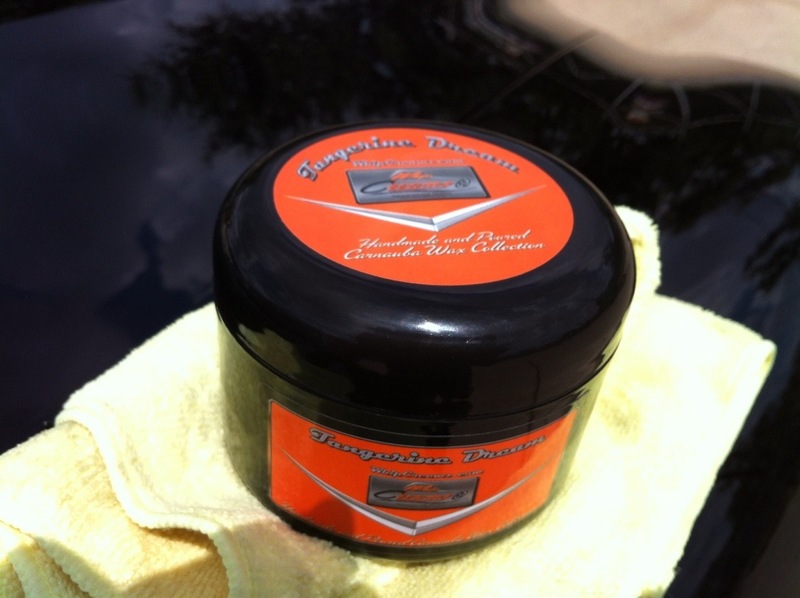 Whip Creamz “Tangerine Dream” carnauba paste wax is availabe now. Order today at: www.WhipCreamz.Com. Contact us with comments or questions at: talk2us@whipcreamz.com. 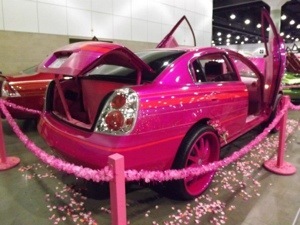 Please “Like” us on facebook at www.facebook.com/WhipCreamzWax. You may also connect with us on twitter (WhipCreamz2012) and on instagram (WhipCreamz4urride). Join one or all of our social networks and communities to start sharing your images and to connect with others around the country who “whip it, whip it real hard”. To take advantage of our online or brick and mortar dealer opportunities, please email talk2us@whipcreamz.com for more information. Important: If you would like your product, event, car, bike, or truck club, to be reviewed and featured in Whip Appeal, contact us today! 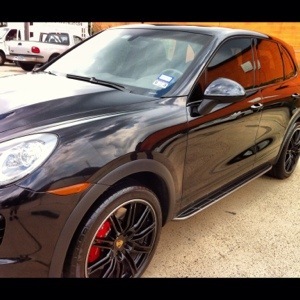 Email us at talk2us@whipcreamz.com or call 713.235.0670. You can also Email us at talk2us@whipcreamz.com or call 713.235.0670. Thanks in advance for trying out the product! The big day is here! place your order Now at www.WhipCreamz.Com!